At Wichita Optometry, our eye care solutions aren't limited to contact lenses and eyeglasses. We also help patients harness life-changing technology to improve their vision for good. 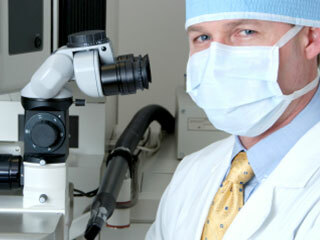 If you currently depend on corrective eye wear to see clearly, LASIK eye surgery could be the right solution for you. We do not perform this procedure at our optometry center, but we do offer the following eye care services for patients interested in LASIK. After your surgery is complete and you have had a follow-up appointment with the surgeon you are ready to begin your post-op eye care regimen at Wichita Optometry. We will customize a schedule for the next six to 12 months to keep track of your progress. In the weeks and months after LASIK, it's important to take your doctor's recommendations seriously to avoid any complications. We want your life and vision to truly change, so we work hard to help all our patients maximize the results of their LASIK eye surgery. With two locations in the Wichita area, we make it more convenient to combat vision problems with life-changing surgical technology. Just pick up the phone to start your own transformation today. Call (316) 942-7496 to reach our Douglas optometry office, or call 316-838-7797 to schedule your LASIK exam in Amidon, KS.